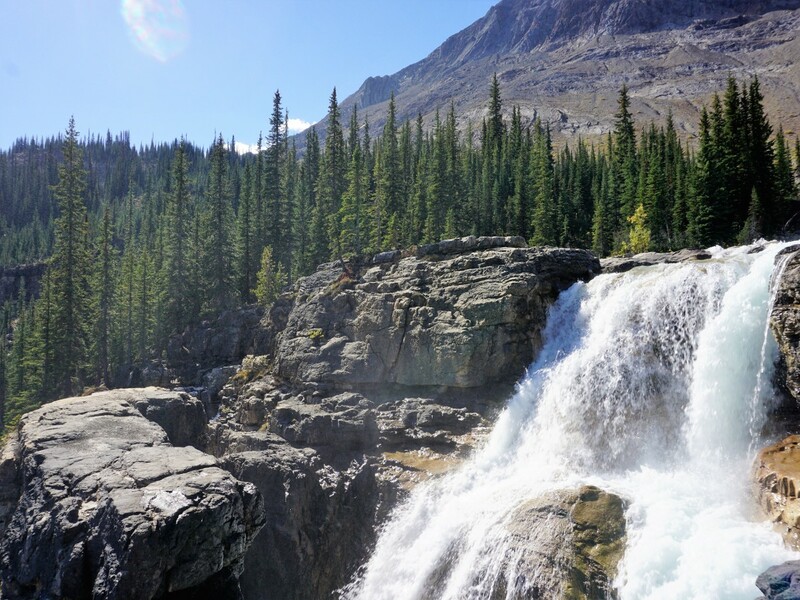 A trip to the Canadian Rockies isn’t complete without at least a day trip to Yoho National Park. There is lots to do in Yoho and this guide will help you plan your trip to Yoho as well as how to make the most of your trip to Yoho. 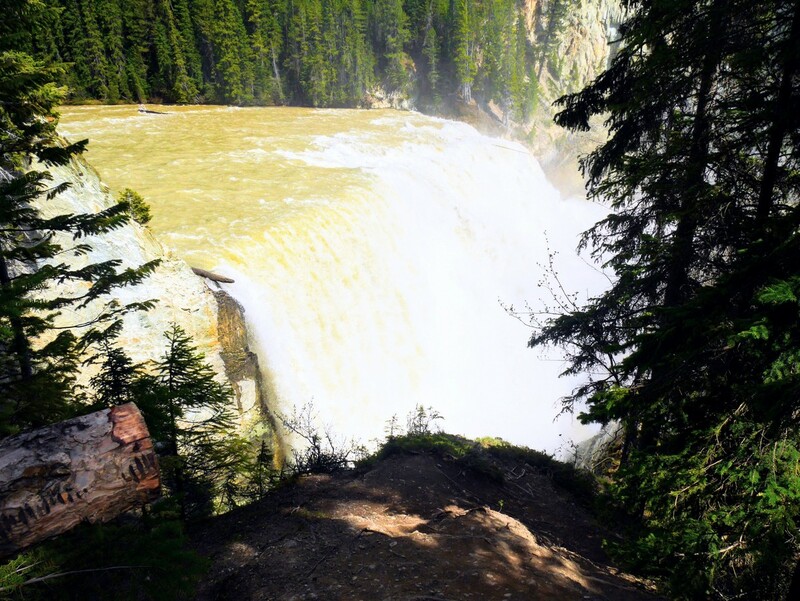 The majority of tourists often overlook Yoho National Park, Banff’s little cousin. 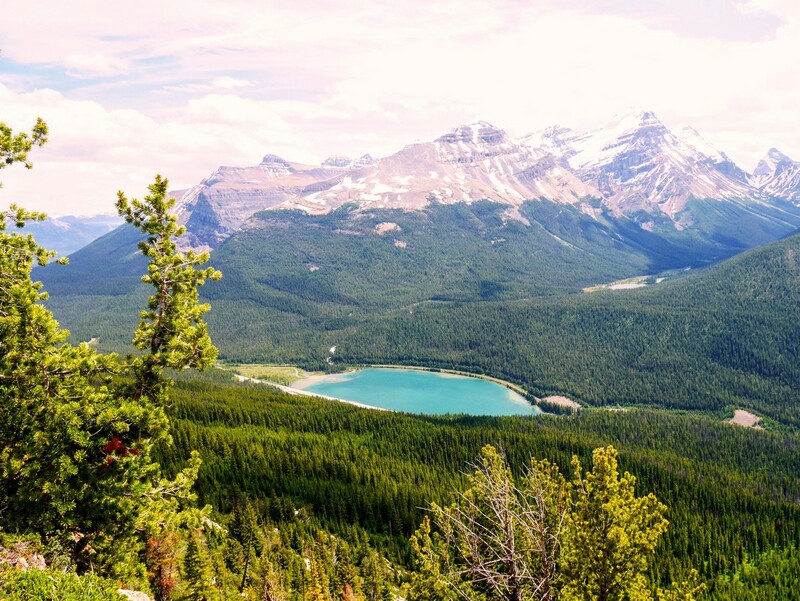 Located on the western edge of Banff National Park, Yoho has boundless natural beauty. The word Yoho comes from the Cree word for awe and wonder. We think it’s a great place for those looking for a quiet, low-key version of Banff. To get the most out of your vacation in Yoho National Park we recommend basing your operations in Field or Lake Louise. If the quieter, cheaper vibe is what you’re after, we would recommend Field. Staying in Field will make excursions into the park quicker and easier; plus, Field has quite a few surprises up its sleeve, but more on that later. For the ultimate Rocky Mountain experience you’ll want to read our section on the Emerald Lake Lodge, again, more on that later. 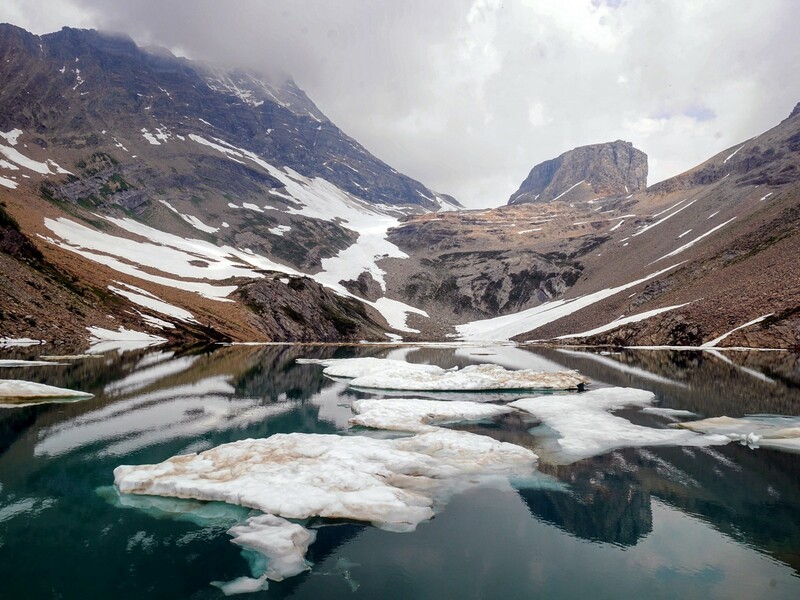 No matter how you slice it, a holiday in Yoho National Park has all the hiking, biking, skiing, and adventuring that you’d expect from Banff or Jasper. With this trip-planning guide you’ll learn how to make the most of your trip to Yoho. The closest major airport is Calgary International Airport (YYC). The 226km (140mi) drive does take two and a half hours, however it’s a very scenic drive. Taking a bus isn’t a great option to get around in Yoho National Park. Deciding on when to go depends entirely on what you want to do. In the summer there are some brilliant hiking trails. In the winter those trails are repurposed for snowshoeing or skiing. You can even hike some trails in the winter; although, winter trails might require some microspikes for your boots and, of course, extra layers. 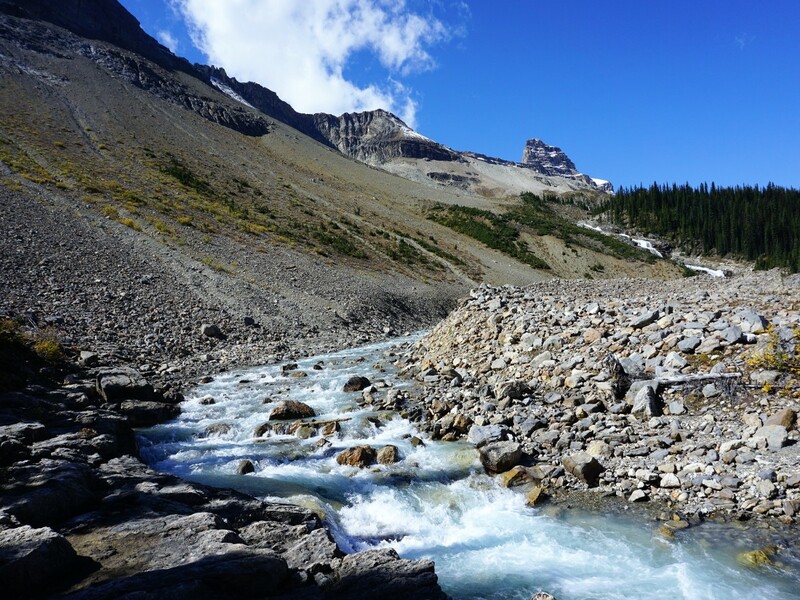 The spring and fall seasons are both highly volatile in Yoho. 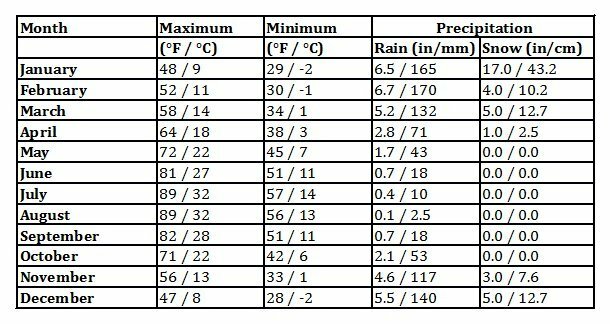 If you’re considering traveling during either of those seasons, you’ll want to pack extra layers as well as sunglasses. You never know if it’ll be snow pants or shorts weather. It’s important to note though that autumn gives you the chance to experience the leaves changing. When you’re hiking up one of the mountains in Yoho and you can look across the valley of changing leaves it’s pretty magical. 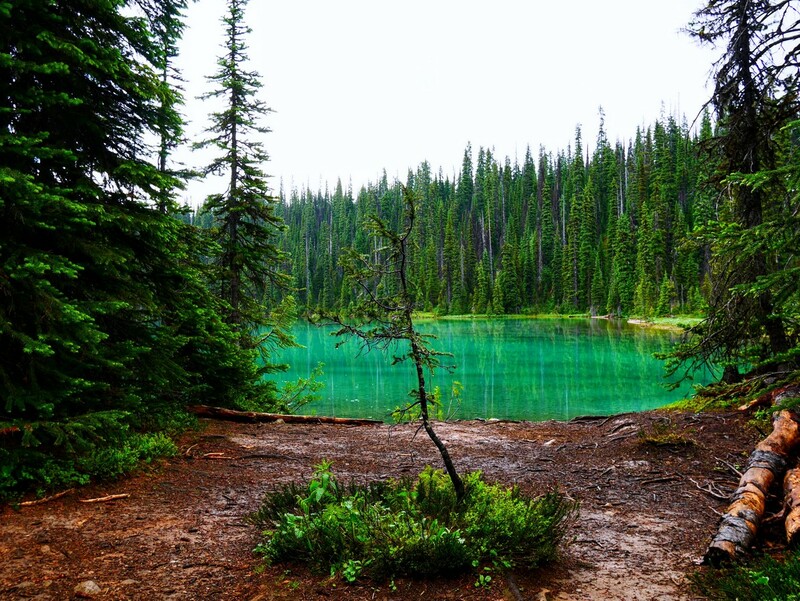 The best option to explore Yoho is by car. Having your own car will make things easier. Rent a car at the Calgary airport. If you don’t have a car, sometimes there are private tours in Yoho that will visit both Yoho and Banff, and which include some transportation, but you don’t have the freedom to do as you please. 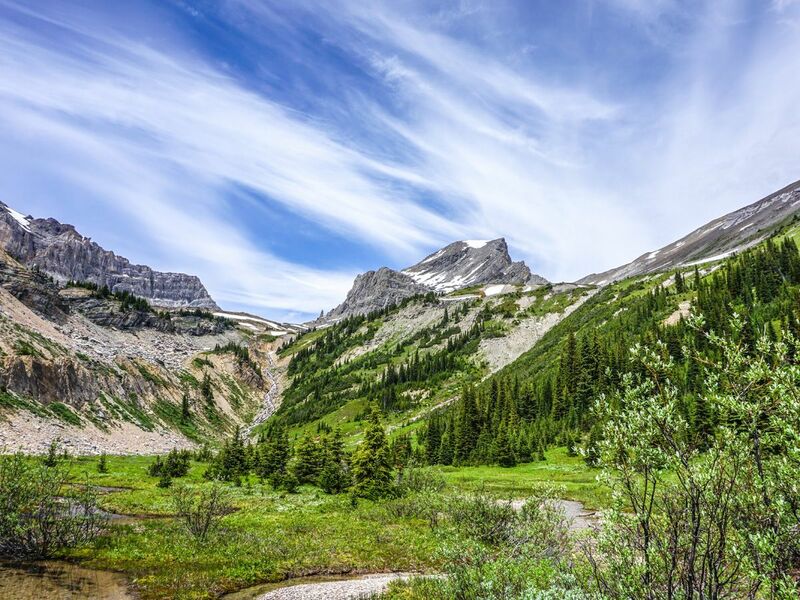 All of our Yoho hikes are only accessible by car (unless you’re staying at the Emerald Lake Lodge, in which case you can walk to a few), so that really is your best option. If you’re planning a trip to Yoho and wondering which hotel to book, then you should know there is more than one city to consider. If you’re looking for a great trip to Yoho, and you’ve already explored Banff and Lake Louise, try staying in Field, BC. If this is your first trip to the Canadian Rockies then you may want to stay in Lake Louise, as there are more services there. Lake Louise is more centrally located and there are more luxury options; although, the area around Yoho is not without luxury. If you want seclusion, nature, and luxury try Emerald Lake Lodge. Emerald Lake Lodge is accessed on a beautiful road that leads off from Field. This stunning historic lodge sits on a beautiful mountain lake and has a lot of charm, and when we say charm we don’t mean that old creaky charm. The charm of Emerald Lake is the old historic buildings and dining halls that pair with the modern and updated luxury rooms. We love that you can hike directly from your cabin. Be warned though, cellphones don’t work here and there are no TV’s! We love it here, but some people miss their electronics. Of course, for others the real vacation is the break from the electronics. To each their own. Another great luxury mountain retreat is Cathedral Mountain Lodge. The log cabin aesthetic is more pronounced at this lodge, but it is no less luxurious. This is another great option if you’re looking to hike and canoe in some extravagant scenery. Field, BC is the next place to look. There are lots of charming guesthouses offered on the Field accommodation page. You can expect private entrances and great locations. The prices and level of updating is different at each place, but it’s a genuine and wholesome way to experience the area. For a hotel in Field we always recommend Truffle Pigs. The main reason is their great bistro (more on that later), but the accommodations are good too. The rooms are updated and modern, and unlike Emerald Lake Lodge they have televisions and Wi-Fi. They even have these great ‘hikers’ suites” which have separate entrances and a kitchenette, so you can prepare snacks and picnics for your longer adventures. The Canadian Rockies Inn is another good option in Field. The rooms aren’t as new as those at Truffle Pigs, but they can be nicer than some (but not all) of the guesthouses.  Keep in mind though that some of the best reviews about this place center around the fact that it is within walking distance of Truffle Pigs Bistro. Now, if you don’t mind the hostel experience, you must consider the Whiskey Jack Wilderness Hostel. Do you like being lulled to sleep by the sound of a beautiful waterfall in the distance? Who doesn’t? It’s an easy walk to the beautiful Takkakaw Falls. There’s a kitchen, campfire, and free parking on site. There are only nine beds, so you’ll have to book a little early, but this is honestly one of the best, small wilderness hostels around. In the summer there are four great national park campgrounds that you can choose from. Each one is featured on the Parks Canada page. Kicking Horse is the most popular and also the biggest (which also means the most facilities). No matter what campground you pick you’ll be surrounded with nature and close to hiking trails. And finally, if all else fails you can stay in Lake Louise. 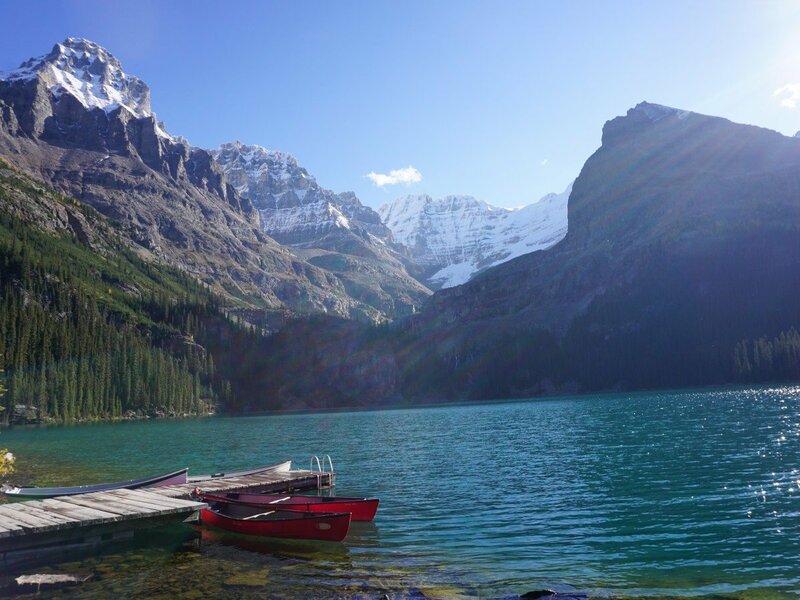 Most long trips to Yoho include a trip to Lake Louie or Banff, so if you don’t mind the extra drive you can find lots of great options in Lake Louise. 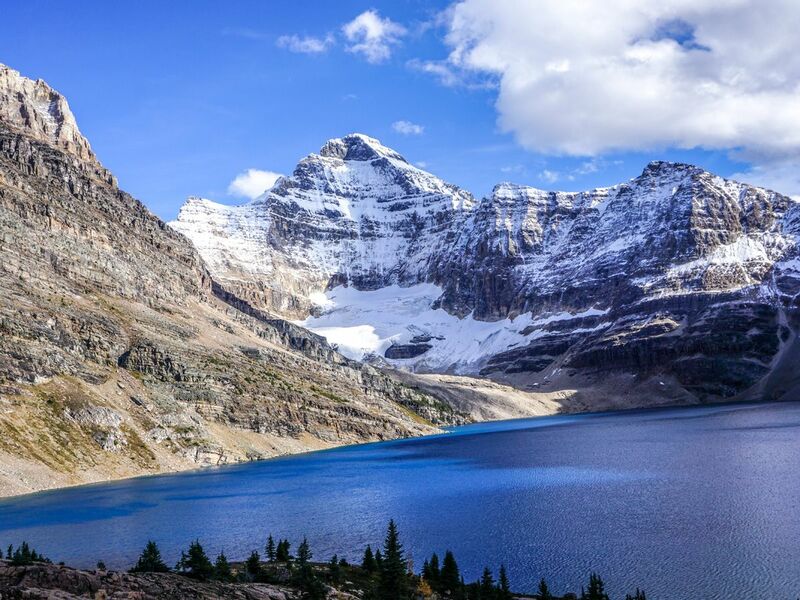 If you’re planning a trip to either Banff, or Lake Louise, visit Yoho. If you’re planning a trip to Yoho, visit Lake Louise and Banff. For more info check out our Lake Louise trip planning article. For luxury we always recommend the Fairmont Lake Louise. For a great hotel with great value we recommend the Lake Louise Inn. We’ve been hinting at it throughout the article, and now is the time to talk about it: The Truffle Pigs Bistro. For such a small town we think it’s awesome that they have such a great restaurant. They are open for every meal and everything, even the simple comfort food options on their lunch menu, is prepared with care and attention. It all stands out. It easily clears expectations. We’ve planned hiking trips around eating here. Everything is amazing, even the prices. Now, it might get tiring to eat at the same place every meal, thankfully there’s more than just Truffle Pigs. The Siding Café is yet another great little spot that punches above its weight. Like Truffle Pigs, the menu is small, but it’s unintimidating. They have great weekly features too that keep things exciting. Another great option to be sure. If true fine dining is what you’re after then check out one of Emerald Lake Lodge’s Mount Burgess Dining Room. Like Truffle Pigs, this is Rocky Mountain Cuisine. They carry local proteins and seasonal vegetables. The wine cellar is extensive. For a more casual fair you can visit the Lodge’s Cilantro on the Lake. Both options will boast amazing views and great décor. 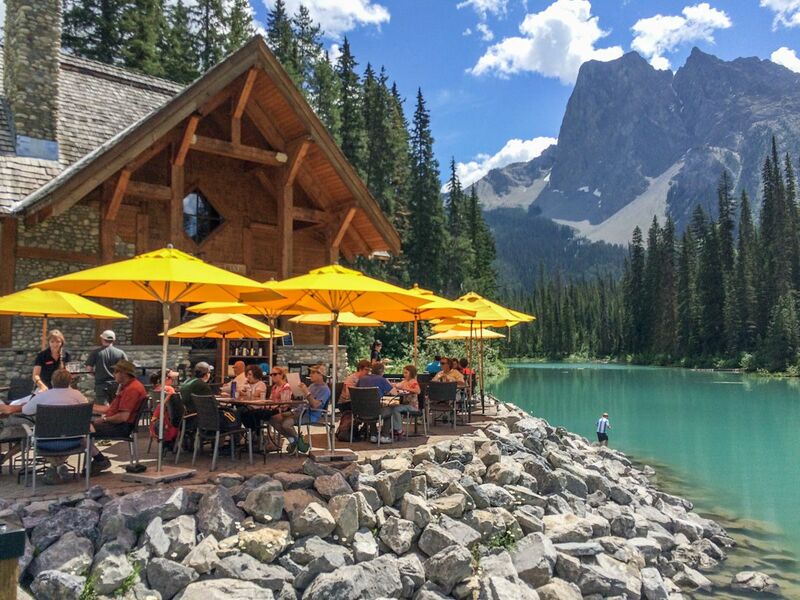 One of the top rated restaurants in Lake Louise is the restaurant at the Post Hotel. The menu is varied – from wild salmon to angus beef, caribou and lamb – and has an international vibe, led by a European-trained head chef. Expect to pay premium prices – but enjoy premium food in return of course. And don’t miss out on their award-winning wine cellar, with more than 25,000 bottles to choose from! See if you can get a tour, it’s pretty spectacular! For no-fuss, budget-friendly dishes check out Bill Peyto’s Café. The food is simple but satisfying – from burgers to chicken sandwiches, pasta, fish and chips, chicken fingers, stir fry, and even Greek souvlaki. There’s no real business in Yoho National Park itself, so most visitors typically get their gear in Banff, Lake Louise or occasionally Golden, on the other side of Yoho in BC. We normally pick up our gear in Lake Louise, where we use Wilson Outdoor Sports. In the summer you’ll find loads of gear to buy and you’ll be able to rent climbing gear, fishing gear, tents, road bikes, and mountain bikes. In the winter we were impressed with their high quality backcountry ski packages for rent. If that’s not your speed then you can rent snowshoes, skates, cross country skis, snowboards, and regular downhill packages. They also have a great selection of clothing and gear, so don’t expect to walk out without a new addition! In Golden you can check out Higher Ground. In the winter you’ll be able to rent backcountry ski gear, split boards, avalanche gear, downhill skis, snowboards, XC skis and gear, and snowshoes. So, no matter how you want to tackle to snow you’ll be ready. In the summer you can find paddleboards, townie bikes, and mountain bikes. Finally, the most charming shop to rent a canoe, snowshoes or cross-country skis is definitely Emerald Sports, a little cabin near Emerald Lake Lodge. We love coming into this shop, picking up a souvenir and a glass of hot apple cider. Even if you don’t want to rent anything, stop by, it’s a fun shop. As mentioned earlier, there are plenty of winter activities in Yoho: snowshoeing, backcountry skiing, cross-country skiing, etc. 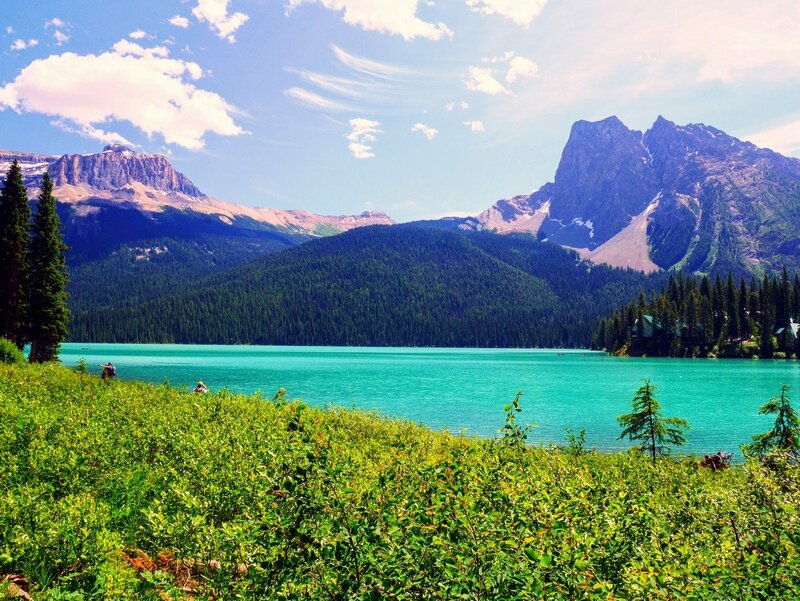 In the summer you can rent a canoe at Emerald Lake and take it out onto Emerald Lake. Is it even a true Canadian trip to the Rockies if you don’t Canoe on a mountain lake? Or, why not try a paddleboard if you’re not a fan of clichés? To take the adventure up a level you could always go on a white water rafting tour. There are plenty of rafting companies in the area. Alpine Rafting is based in Golden, BC. It isn’t too far away and they offer a great service. For a guided hike with some added geological interest look into the Burgess Shale Geoscience Foundation. They can take you out to the Trilobite beds and tell you about all the creatures that used to roam these parts. Past all that you’ll likely spend most of your time hiking. It’s such a great park and there is really so much to see! Pay attention to avalanche conditions, especially at higher altitudes. Campfires are only allowed on campgrounds with provided fireboxes. On all other campsites a backpacking stove is required. Make sure you bring bug spray – especially for long hiking trips. 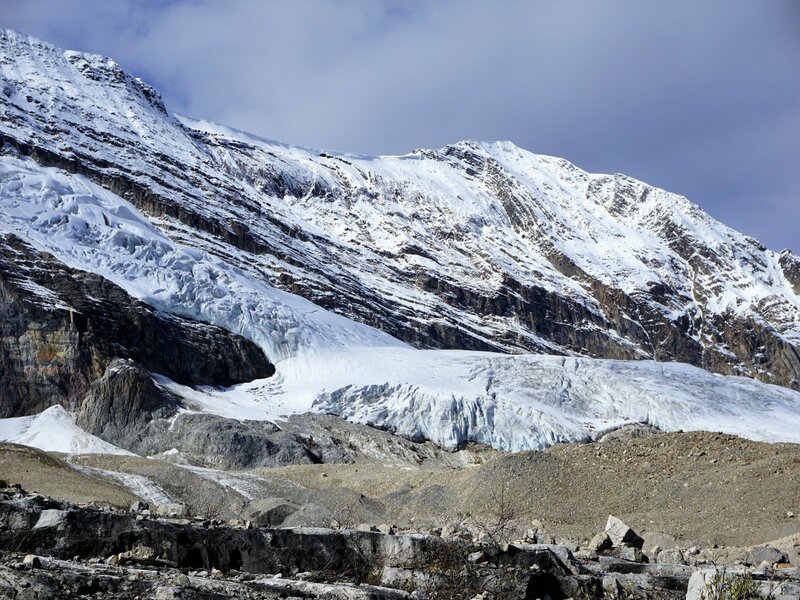 There is no cell service along the Icefields Parkway.